iBeacon Comes to SXSW - trendistic.com: ever tried. ever failed. no matter. try again. fail again. fail better. The official SXSW mobile app is powered by iBeacon — Apple’s name for the innovative Bluetooth LE (aka Bluetooth Smart) technology that allows two-way communication to take place between devices. 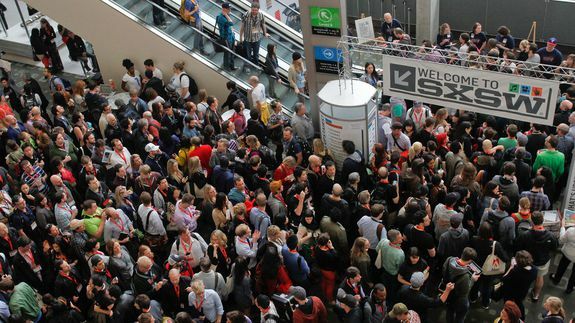 We’ve seen iBeacon implementations in retail environments and at stadiums, but this is one of the first times we’ve seen iBeacon technology utilized at an event like SXSW. See also: Will Apple’s iBeacon Change the Way We Shop?